A customer prepares to fuel her vehicle at a Road Ranger gas station in Princeton, Illinois, U.S., on Tuesday, June 17, 2014. Gasoline in the U.S. climbed this week, boosted by a surge in oil, and is expected to reach the highest level for this time of year since 2008. The average price of a gallon of regular-grade gasoline fell 7 cents nationally over the past two weeks, to $2.62. 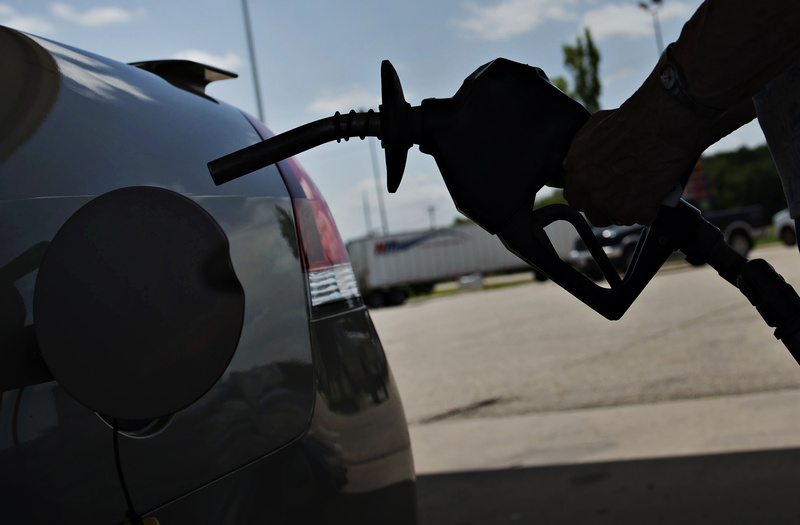 Gas in San Francisco was the highest in the contiguous United States at an average of $3.18 a gallon. The lowest was in St. Louis at $2.19 a gallon.